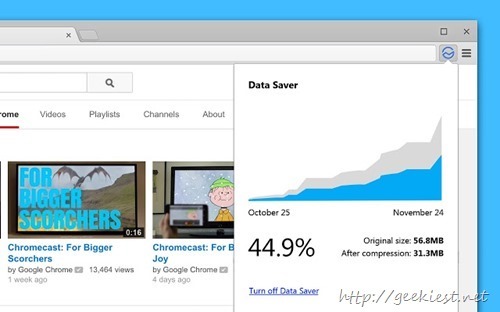 Data Saver (which is in Beta stage now) is an add on from the Google to the Google Chrome browser which can reduce data usage. This add-on will be using the Google servers to optimize the pages which you request. When you request a page, the requests will be sent to Google servers and the response will be a compressed form of the pages. This will reduce the data usage. 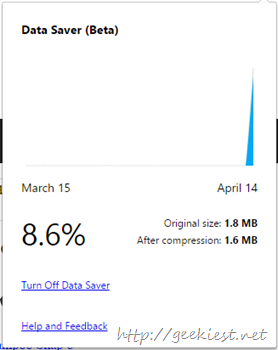 Data saver will display the percentage of data saved. You can view this on the icon displayed right to the address bar. You can enable or disable this add-on from the same place. This extension will work on the Desktop Chrome browser and Mobile Chrome on Android and iOS.